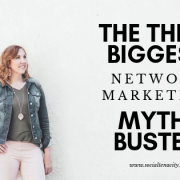 Myths maybe your upline is telling you. 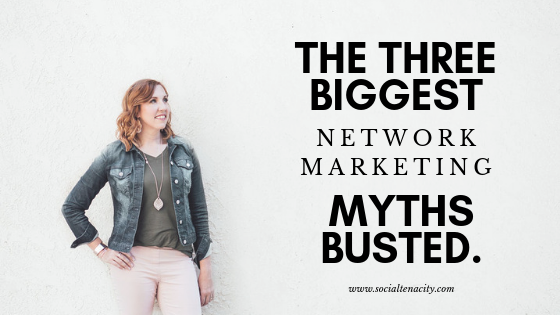 There are 3 biggest network marketing myths that I have found that we are going to BUST today. 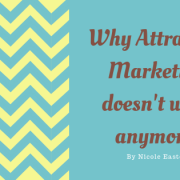 Have you ever heard the saying “this is a ground floor opportunity?” Maybe someone was introducing you to a company and trying to get you to join them on their network marketing journey. This myth can be used as leverage for opportunity or can be used as an excuse for why distributors aren’t doing well in their company. Let’s bust through this first myth. Does it help to be one of the first consultants in a brand new company? Of course! 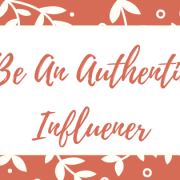 It helps you get the name out there and since it’s new and exciting allows you to reach out to more people. However it’s a ton of work. In the beginning there are a ton of unknowns. A company may not do very well. I was of the first consultants of a new direct sales company. So I pushed it and I worked super hard. I built it up and a year and a half later the company went under. Joining a startup business can go either way. When I was with Scentsy, I was not one of the first consultants to sign up. I knew a girl who was the 5th person in the company and she didn’t do much with it. So being FIRST doesn’t equal success. In a year’s time, I was making more money than she was. It’s NOT all about the timing. The question is really: How hard are you willing to work? Have you heard this one? Of course you have! Your company probably tells you their product is for everyone and that is because they have consultants and distributors from a variety of backgrounds. But this is not quite right. You don’t want everyone to join your team. When you look at your product, sure it can be for everybody. But do you want to work with everybody? Sell to everybody? You need to know who your ideal customer avatar is. 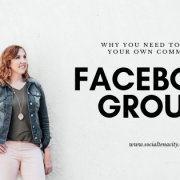 Your goal should be to create a community of like-minded people who are like you. Because these are the kind of people you will do best with. From customers to business builders, these will be your people and you will be able to serve them. I was a stay at home mom and feeling lonely. I longed to connect with other people who understood me. So these are the kinds of people I enjoyed connecting with. This community is also full of people I know how to help. Your job is to find out their problems and offer a solution. Myth #3: Just don’t quit. Well… the thing is if you don’t work your business, it’s not going to grow. Instead of saying “just don’t quit..” they really should say “just don’t stop taking action.” It’s daily action that will drive your business to success. Let’s say you are trying to get parties booked and get your calendar full. If you just sit there hoping people will reach out, it’s not going to fill itself. Taking action can look like calling past hostesses, sending out messages to your WARM market, going LIVE, etc. You also need to make sure you are making your asks and offers all about the person you are speaking to. Find out what they really want. What are their pain points? What are their problems? How can you genuinely help them achieve what they are going after? Pick one action step this week and show up in your business. We would love to hear about it. Come and join our community and share with us!